Regression therapy calls for patients to achieve the maximum level of comfort both with the therapist and within their own bodies. Little can be achieved in any given session if the patient feels stressful or ill at ease. This is why at Harmony Soul Regression we employ massage therapy to help patients reach a level of comfort and relaxation that is such a valuable aid to our sessions. Specifically, we use hot stone massage at either the beginning or end of our sessions in order to help patients release any stored stress and trauma they may have relating to a past life. We find regression therapy and hot stone massage to be an effective combination for those who seek release from the very tensions that bring them to us in the first place. However, we realize that some people are unfamiliar with hot stone massage therapy and for those of you who are new to this kind of massage we offer you this introduction. Hot stone massage dates way back to Native Americans who warmed stones over an open fire and strategically placed the hot rocks on different parts of their bodies in order to release aches and muscle pains. Today, the process involves smooth-surfaced stones of basalt that are heated in sanitizing water before each use. These stones are then placed upon the subject. The iron content in the basalt helps store heat for an extended period of time. Most people can benefit from hot stone massage however it is not recommended that people with high blood pressure or pregnant women use this kind of therapy. Improved Circulation: The heat produced from the hot stones placed on your body causes your blood vessels to open thus facilitating better circulation. Mental Relaxation: For our purposes this is the most important benefit of hot stone massage. This kind of therapy itself is being used by more and more therapists in the management of mental stress and tension. Increased flexibility: Hot stone massage aids the body by making mobility and movement easier and by making joints more flexible. 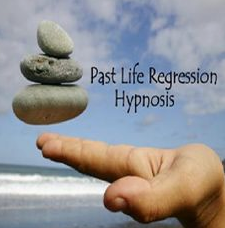 At Harmony Soul Regression we believe in using every available tool to help you explore and put into the proper context your past life experiences and how they may be impinging upon your present life. That is why we can employ this ancient technique so that you can get more out of your sessions with us. This entry was posted on November 17, 2016 at 7:07 pm. You can follow any responses to this entry through the RSS 2.0 feed. Both comments and pings are currently closed.